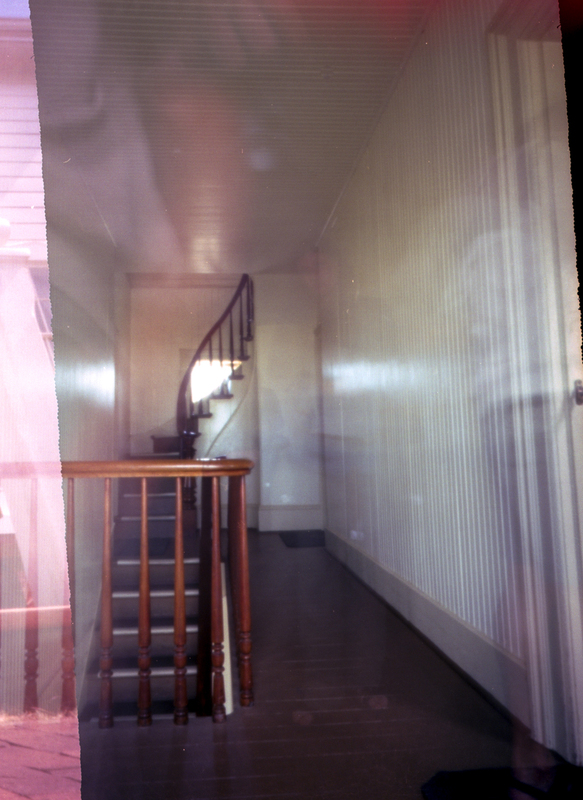 The house had been abandoned for many years and became a place where teenagers would party on the weekends. Which is exactly what happened on a Friday Night in the early 70s. They were on the top floor of the house when they found a porthole, which they took and that led out to the beach (this is where I had a hard time with the guy’s story). When they reached the beach, one of the girls in the party realized she’d forgotten something in the house. So she went back to retrieve it. Then came shrieks from the house! The kids ran up to the house, up the stairs, and the only thing they found left of their friend was a pool of her blood. She was never seen again. And now she haunts the lighthouse. 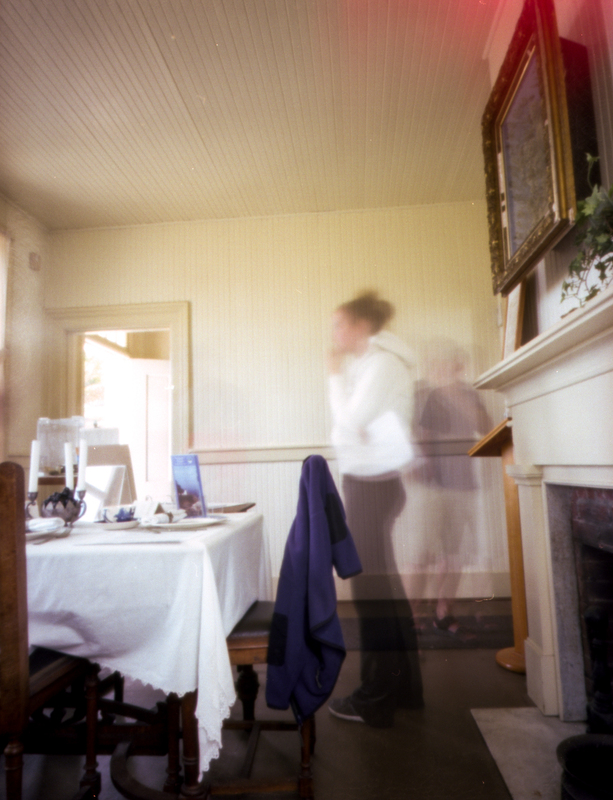 I love a good ghost story but I was skeptical. Porthole? This is how they get back down to the beach? What? Why? But still. It was fun to hear the story and it didn’t prevent me from going back upstairs to see if I could locate this mysterious porthole (I didn’t find it). However, when I was researching this post I found a ghost story about this place written by Lischen M. Miller, the sister of Joaquin Miller. The story that I heard was heavily borrowed from the original, it appears. You can read the original here, and listen to it, if you so desire (link to the audio is at the top of the post)*. However, the ghost story will not die and in fact, many think it is true. And there is a story that a vagrant hitchhiker who stayed in the empty house was haunted by Muriel (the teen from Miller’s story). 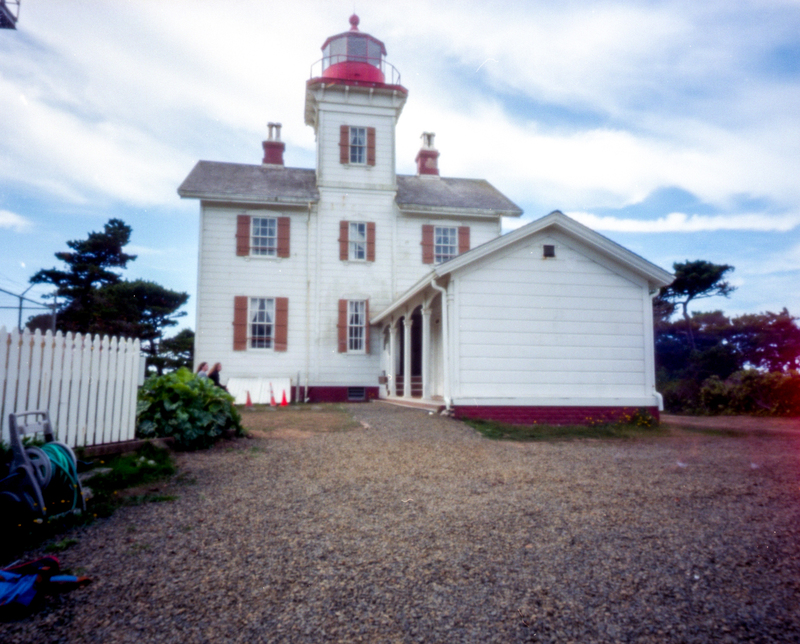 The factual story of the place is that it was built in 1871 became obsolete 3 years later when the Yaquina Head lighthouse was built (up the coast 3 miles). It was used by various government agencies and then became slated for demolition about a decade after the state bought the land for park property (1934). A local historical society tried raising money to save it, but couldn’t and ten years later it was, again, slated for demolition (1951). However, a concerned citizen, L. E. Warford, somehow managed to have it recogined as an historic site and it became an historical museum. It became an official historical landmark in the 70s and was restored to it’s full glory. The End. I still want to find that porthole. 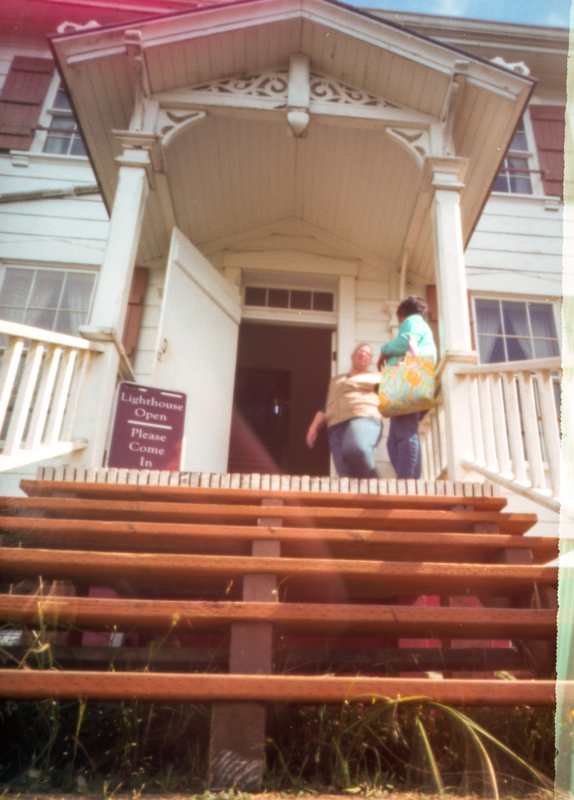 These were made with my Terrapin Bijou and Ektar 100 film. *note to self, I need to work on my ghost-story-telling game after reading Lischen M. Miller’s scary story. Great story and some awesome ghostly images to go with it!